Bringing a Bike? No Problem. 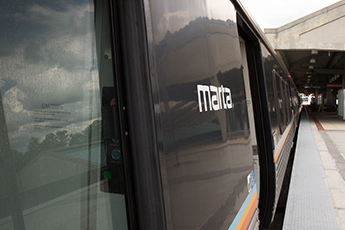 We’ve set out to make MARTA a bike-friendly part of Atlanta. 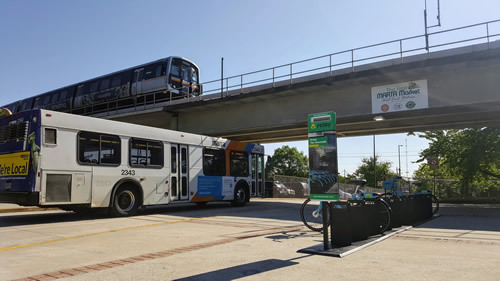 No matter your commute, bringing your bike on MARTA is easy and convenient — the perfect way to shake up your commute and enjoy the great outdoors. No problem. 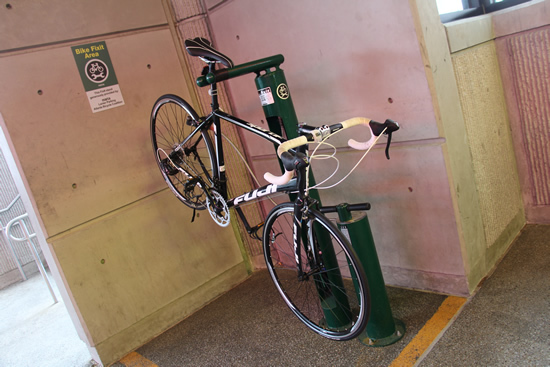 We’re rolling out a new initiative that’s bringing bike repair kiosks to stations around the city. These kiosks provide free repair equipment for breakdowns such as flat tires and dislodged bike chains. The first repair kiosk rolled out at Lindbergh Center station, and plans for expansion include kiosks at all stations except for Airport Station. Hook the safety bar over your bike when loading it on the rack. As part of our mission to make MARTA bike-friendly, we partner with Relay Bikes. You can find Relay Bike Hubs near the Arts Center, Civic Center, Inman Park/Reynoldstown, King Memorial, Peachtree Center, West End, North Avenue and Midtown MARTA stations. To use Relay Bikes, simply create an account and download the app. Monthly and pay-as-you-go plans are available, as well as discounted plans for low-income, corporate and student riders. To learn more about how to ride a Relay Bike, visit their website at: www.relaybikeshare.com.